Alexander Krause at his son Orion’s arraignment. ROCKPORT, Maine — With tears in his eyes, Alexander Krause struggled to comprehend the enormity of the crime that his 22-year-old son, Orion, is alleged to have committed. “Whatever possessed my son . . . ,” Krause said Wednesday, his voice trailing off as he gazed over the coastal hilltop that his family calls home. Orion Krause, a talented musician and Oberlin College graduate, is accused of fatally beating his mother, maternal grandparents, and a caretaker last Friday in Groton. Authorities have provided no motive. His father, a ferry captain and former lobsterman, said he had no answers as to how his son could have been capable of such violence. A vigil is being held in Maine to honor a woman whose son is charged with killing her and three others. Orion Krause has been committed to Bridgewater State Hospital for psychiatric evaluation and ordered held without bail on four counts of murder. He has pleaded not guilty. Authorities say Krause apparently used a baseball bat to kill his mother, Elizabeth Krause, 60; her parents, F. Danby Lackey III, 89, and Elizabeth Lackey, 85; and their health aide, Bertha Mae Parker, 68, who had recently begun caring for the couple at their home in Groton, northwest of Boston. The small town had not experienced a murder in more than 20 years. The events leading to the killings began last Thursday night when Orion Krause abruptly left his family’s house in Rockport, Maine, prosecutors said. His mother became worried and called police. But Orion Krause called her early the next morning, saying he was in the Boston area and needed a ride back home. Elizabeth Krause agreed to pick up her son, and on their way back to Maine, they stopped by her parents’ house in Groton. Police found the four victims Friday night after Orion Krause allegedly walked to a nearby house — naked, bloody, and covered in mud — and told the neighbor, “Help me, please. Help me, please. I murdered four people.” The neighbor called police, who found the bodies of Krause’s grandparents and mother inside the home and Parker’s body outside. A police report on the case has been impounded at the request of prosecutors. On Wednesday, Krause’s father said the killings underscore the need “to pay more attention to mental health” but he declined to comment further. He said he didn’t want to interfere with legal proceedings he does not fully understand. With the horror of the crime still fresh, Krause said he has been consumed by the complicated legal proceedings facing his son. He also has been answering a flurry of telephone calls from friends and others offering their condolences. “This is the hardest job I’ve ever done,” Krause said. 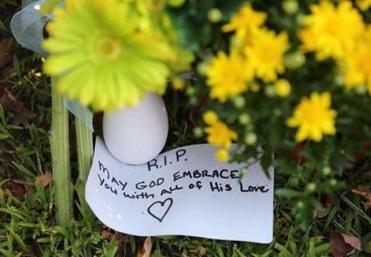 As a result, he may not have begun to grieve, he said. Behind Krause stood a two-story home of richly weathered shingles, reached by a narrow gravel road flanked by tall birch trees. The home, and the rustic comfort of the property, had been meticulously designed and built by Krause and his wife. “What you see is our life’s work,” Krause said. “We can see the world from where we are,” extending his arms slightly toward the horizon. 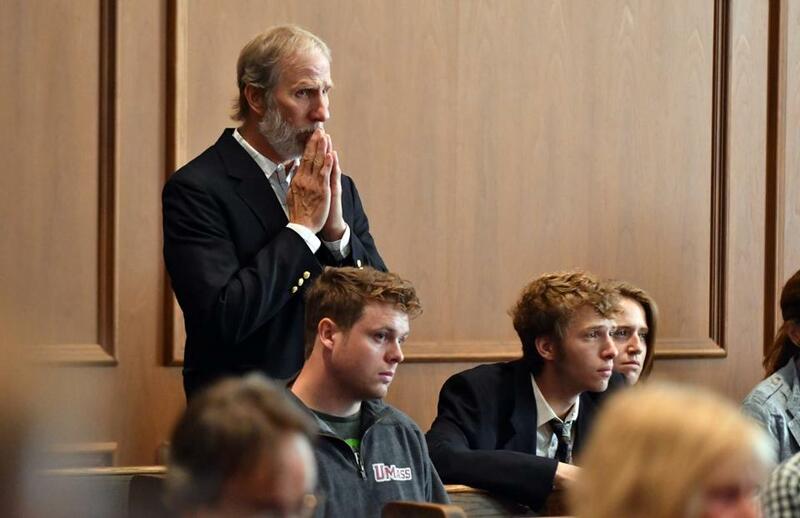 Alexander Krause, whose own father had been an artist on Maine’s Monhegan Island, paused as tears welled in his eyes. Krause said that his wife, Elizabeth Krause, had devoted the last decade to working with people in distress, people “who had met with some form of tragedy.” He declined to provide details, but Krause said her humanitarian work had helped many people across the country. Her mother — Elizabeth Lackey, also one of the victims — had deep connections to social justice and spiritual organizations in Boston, friends said Wednesday. “She was someone who came from a good deal of money but was very interested in working on issues of classism, racism, and social justice,” said Paul Marcus, former executive director of Community Change Inc., a nonprofit group in Boston that fights for racial equality. Elizabeth Lackey was a regular presence at Community Change events and supported the group financially, Marcus said. She also studied at the Women’s Theological Center and the Episcopal Divinity School in Cambridge, friends said. Alexander Krause said he is unsure where his life, irrevocably altered, will now lead. @globe.com. Laura Crimaldi can be reached at laura.crimaldi@globe.com. Follow her on Twitter @lauracrimaldi.